Here at Sunset Plaza Dental, we believe that everyone deserves a smile that they can be proud of and our West Hollywood dentist is ready to offer it to them. We have built and maintained an atmosphere that we believe will keep our patients coming back time and time again. If you have been on the lookout for a dentist in West Hollywood that can offer you all of the most advanced treatments in a friendly environment, contact Sunset Plaza Dental today. When a patient begins to neglect their oral health, they are going to be running the risk of any number of serious health conditions that can take place anywhere in the body. Those that avoid their trips to a West Hollywood dentist will have a much higher chance of developing gum disease, tooth, decay, and other oral ailments. We believe that it is not just the responsibility of patients to keep up with appointments, and that is why we have carefully put together a team of dentists and a friendly staff that will put our patients at ease and have them walking out of our doors with a smile on their face. Our services begin with our West Hollywood dentist providing a thorough checkup of one’s mouth, including a look for any abnormalities as well X-rays of the teeth and jaw. This is the perfect time in which to catch and prevent the buildup of plaque and tartar that could lead to gum disease and tooth decay. Our cosmetic dentist, Dr. Ghasri, is proud to provide a full line of cosmetic treatments including teeth whitening, veneers, Invisalign aligners and more. 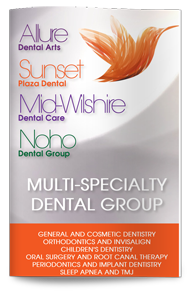 Our team of dentists here at Sunset Plaza Dental is multi-faceted and can provide our patients with any of the services that they may ever need. This includes the most advanced restorative procedures and services such as dental implants, gum treatment, sedation dentistry, and more. 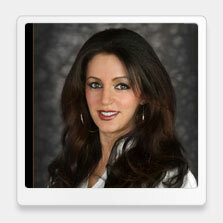 If you are ready to have world-class dental treatment with a West Hollywood dentist, our practice is here for you. Contact us today and begin your journey towards the smile of your dreams and amazing oral health.